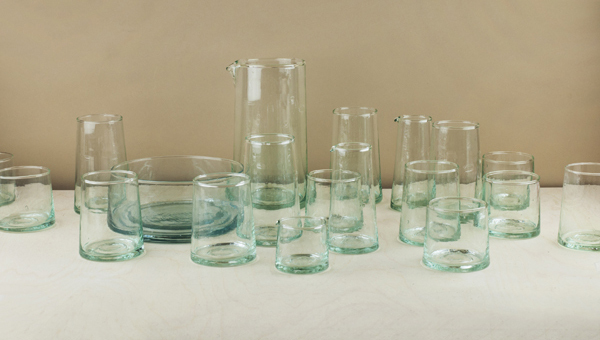 Hand or rather mouth blown vessels made of recycled glass in a small workshop amidst the Atlas Mountains of Morocco. Quickly and perhaps crudely blown, these retain all the evidence of their making and whilst the workmanship might be a little rough, it is precise and cannot be said to be lacking in skill, nor the items either style or charm - this is handmade production ware intended for regular everyday use. 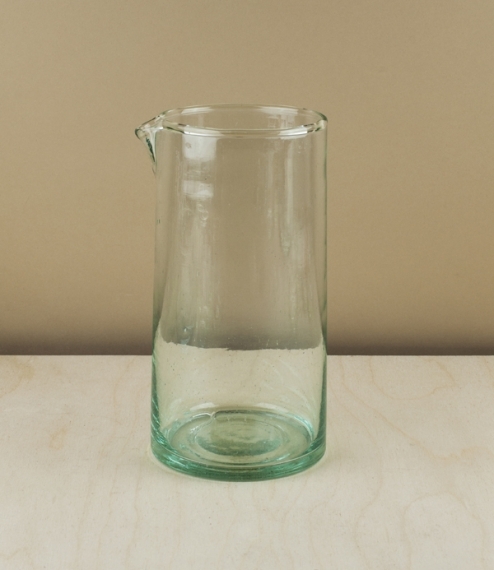 A straight sided 1 litre carafe about 19cm tall.